Buranda State School P&C works closely with our local community to support our fundraising. We acknowledge the support of our local elected MPs and councillors, Deputy Premier and Member for South Brisbane Jackie Trad, Federal Member for Griffith Terri Butler and Brisbane City Council Councillor for Coorparoo Ian McKenzie, who have donated funds to offset our Buranda Fest running expenses. We appreciate donations in goods and cash from local businesses who have provided prizes for raffles and competitions and supplies for our food stalls. This year we are offering community partners a chance to promote a special offer via the P&C website page for the month of September. We invite you to take advantage of these offers and support our generous donors. 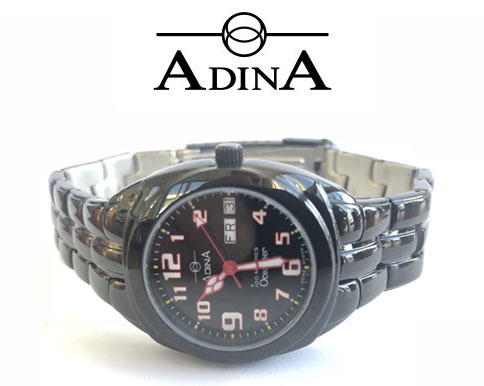 Adina was founded in 1971 by Australian watchmaker Robert ‘Bob’ Menzies and the business has grown from one dedicated man to a staff of twenty, including Bob’s son Grant, building the craft of quality Australian watchmaking through the generations. Each year Adina produces over 40,000 artisan watches from its Brisbane factory, available in over 300 retail outlets across the country. This is an ideal young person's first watch, but they have a limited stock, so first in best dressed. Select Earth Moving is a General Excavation Company specialising in all aspects of earth moving. They can help with removing trees, leveling yards, car parking, breaking swimming pool and putting soil in and many other jobs that involve bobcat and excavator work. Select Earthmoving are offering our school community a 10% discount on all of their services. Please contact Dean on 0421 009 111 and mention this offer. Brisbane Bulk Meats have been supplying quality retail and wholesale meat to customers for the last twenty years. Located conveniently at the Rock n Roll marketplace, it is easily accessible from both highways and there is plenty of parking onsite. They take great pride in the quality and freshness of our meat. What was once a local secret, the business is now attracting customers from all over Brisbane. For the month of September they are offering 5% off for friends and families of Buranda State School. AWDI offer a comprehensive range of Nationally Accredited training courses that enables students to expand their knowledge and skills. They also offer an extensive range of professional development training courses that cater for all skills levels and are recognized towards Continuing Professional Development (CPD) points. They are offering our school community $50 off First Aid Courses. Please visit their website http://www.awditraining.com.au or contact them on 3397 2786 and mention the Buranda State School community offer. GoLocal Page helps businesses advertise directly to real people on their TV Screens. These TV Screens are positioned in medical centres, pharmacies and dental surgeries. This means your business will be displayed in a trusted environment and seen by the people you want to reach. GoLocal Page is offering our school community a 30% discount on all their products. Just mention the Buranda State School Community 30%OFF offer. Cultivate Calm Yoga creates a space where you can peel back the layers of stress, worry and tension and allow yourself to just be. Please visit their website www.cultivatecalmyoga.com.au or Facebook page or call them on 0406 476 950 and mention the Buranda State School community offer. IGA Marketplace Greenslopes has recently added Buranda State School as a beneficiary on their myIGA Card Program. Pick up a myIGA Card next time you are in the store and when you register it online, tick us as your community group you wish to support and for your points to accrue to. If you already have a myIGA Card, be sure to go online and change your preference to us. Then, every time you shop in the store and use your card, not only do you receive great discounts and special offers, you are also helping to raise funds for us. It's as easy as that! Get behind this great program and we can all benefit. Having opened their office in Stones Corner in the early ‘90’s, the team at Louise Griffin Property Management are well-experienced to handle the management of your investment property. Louise Griffin Property Management are providing members of the Buranda State School Community a Complimentary Inspection and fully comprehensive Comparative Market Analysis of your property’s value in the current rental market. Make sure you mention Buranda State School or Buranda Fest when making your complimentary appointment any time during September and October. Thank you to bRed bakery at Greenslopes for supporting our school and fundraising efforts. Additionally they are offering 10% off for Buranda family and friends. They are located within the IGA building at Greenslopes on the Cnr of Logan & Chatsworth Roads Greenslopes.